appearance at a chess tournament of any form. North Landesman, at the end of the day. 2nd, and the team has fulfilled that commitment enthusiastically. individual trophy and their 1st place team trophy. Martinez, LACASA staff member who attended the tournament. 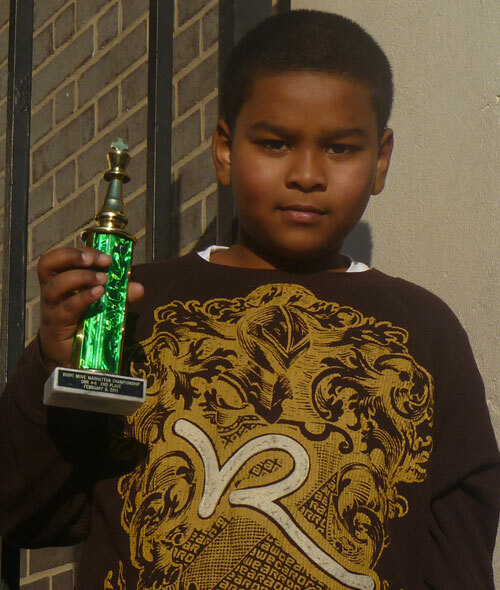 This entry was posted in Afterschool, PS 84 LACASA and tagged 1st place, Awards, Chess, LACASA, The Right Move, trophy, Victory. Bookmark the permalink.